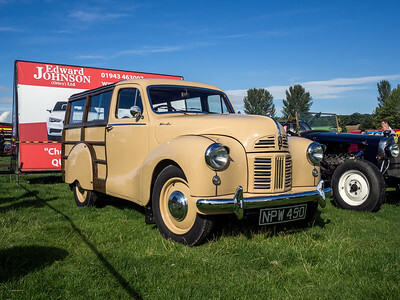 Classic cars, vans and trucks at the Otley show in September 2015. 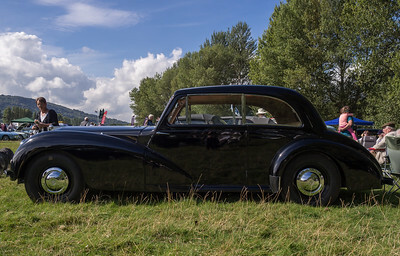 A very sunny day, and unfortunately many of the cars were parked with their backs to the low and very intense sunshine, making photography tricky. 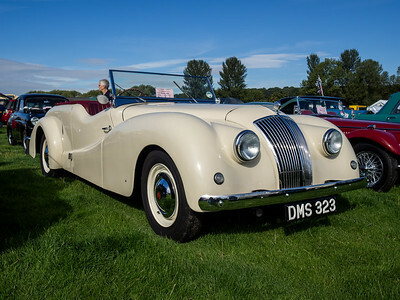 The two litre was produced between 1949 and 1956. 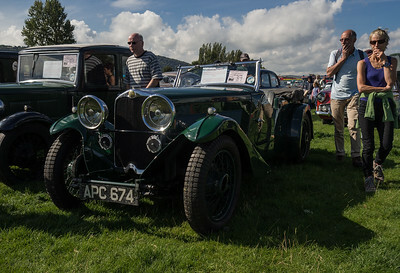 The Buckland tourer was a special bodied version with swoopier front wings than the saloon. 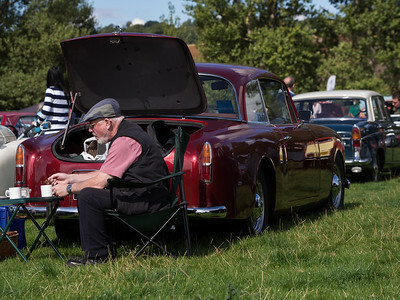 It was pretty 'traditional' mechanically, with solid axles and leaf springs front and rear. 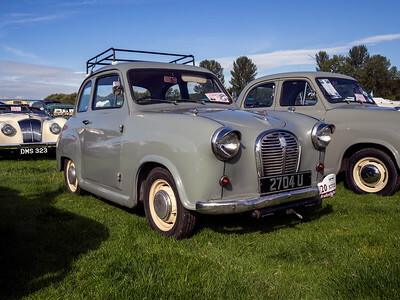 The Two Litre was produced between 1949 and 1956. 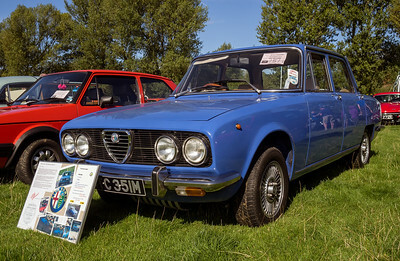 Alfa's top-of-the-line saloon was made from 1971 to 1977. 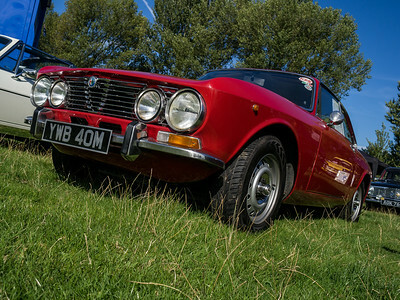 The Alfetta succeeded it. 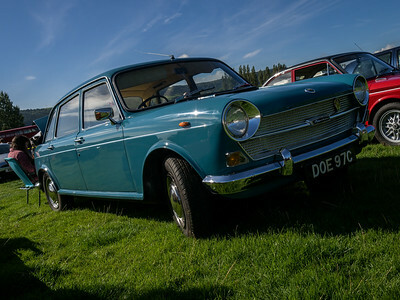 1962cc Produced fromm 1971 to 1976. 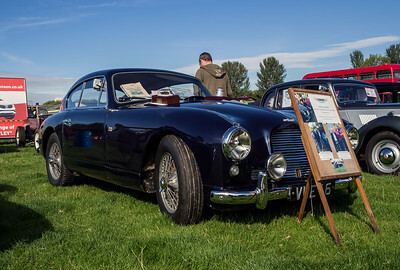 Body also used for other models like the entry level 1.3 litre Junior. 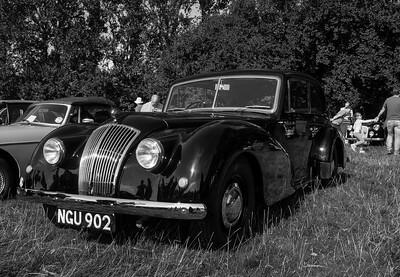 1798cc Introduced in 1964 and voted Car of the Year in 1965, the 1800 was also sold as a Morris and a Wolseley. 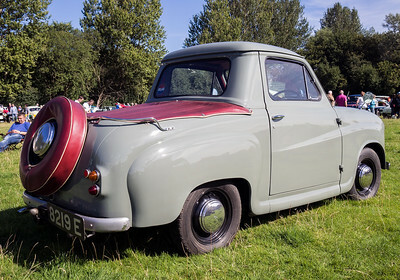 948cc This probably isn't an original pickup but a conversion. 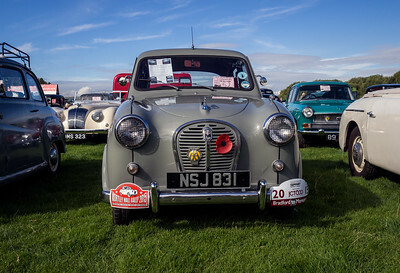 Austin only made a few hundred pickups in 1956/7. 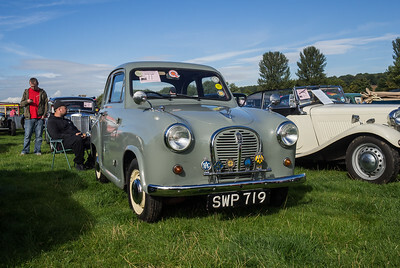 The silver grille makes you think it's an A30, but the large rear window gives the game away – this is an A35, and one with a 1098cc engine according to DVLA. 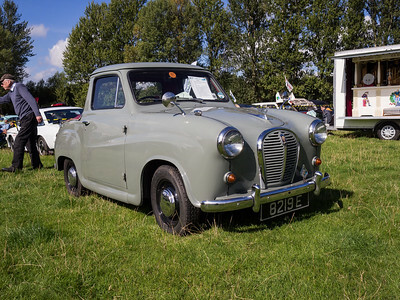 DVLA says this has a 1500cc engine so it looks like it's been re-engined, since the Devon had a 1200cc engine throughout its life. 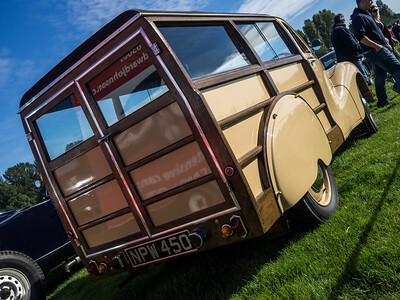 *This isn't an original Countryman (they had steel panels at the back) but a Countryman lookalike created I believe from an A40 pickup and given an elaborate 'woody' treatment.